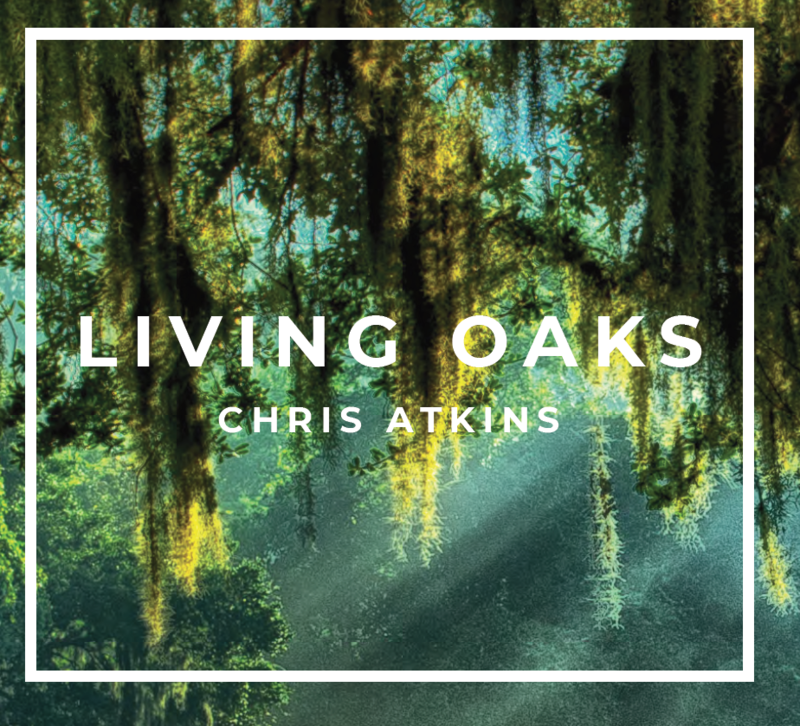 We are excited for the release of Chris’ new album, Living Oaks. As a special gift for visitors of the blog, this post has all of the lyrics for the new album! Words and music by Christopher J, Atkins © 2018, 2019. All rights reserved. You can finish the race with a victory stride. Go on and finish well! © 2017, 2019. All rights reserved. To worship and praise You all of our days. So we will not wither or fall. Move through us O Lord. The live oaks of God. Words and music by Christopher J. Atkins © 2017, 2019. All rights reserved. I seek His strength to rise above it all. And the peace of Christ fills my troubled soul. …And the peace of Christ fills my troubled soul. Words and music by Christopher J. Atkins © 2008, 2019. All rights reserved. It’s all about the One who came to earth for you and me. It’s all about our nature that was tarnished by this sin. It’s all about the price He would have to pay for us. It’s all about salvation and God’s greatest sacrifice. Jesus touched people, He healed and set them free. It’s all about Jesus, He died for you and me. It’s all about Jesus, who paid for all we’ve done. God’s plan of salvation and victory has been won. God will live among His people transformed by new birth. It’s all about Jesus, all about Jesus. Words and music by Christopher J. Atkins © 2012, 2018, 2019. Christopher J. Atkins. All rights reserved. And guide me to Your perfect peace So I will follow You. And let Your healing power come To me and make me whole. On the earth and in my heart. On the earth and in my heart. I yield myself to You, O God, Enflame me with Your fire. The things you will to do through me Lord, lead me by Your power. Be touched and changed by you— Be touched and changed by you. …Be touched and changed by you. to turn and be restored. I pray Your kingdom comes, O Lord. Words and music by Christopher J. Atkins Based on “How Firm A Foundation” 1787 Public Domain. Christopher J. Atkins © 2013, 2018, 2019. All rights reserved. I will rest upon my Risen Savior, Unshakeable He reigns. Words and music by Christopher J. Atkins © 2003, 2019 Christopher J. Atkins. All rights reserved. Now be true to the dream planted in your heart. No matter the distance, I’m always here for you. I’ll be there when you need me, even when we’re apart. Come to me with the dream planted in your heart”. No matter the distance, He’s always there with you. Words and music by Christopher J. Atkins ©2012, 2018, 2019. All rights reserved. Breaking the chains of sin, we’re free. Words and music by Christopher J. Atkins (c) 2012, 2019 . All rights reserved. You are the measure of my worth. Or value in your eyes. The greatest treasure in my eyes. Words and music by Christopher J. Atkins © 2001, 2018, 2019. All rights reserved. You are the God who’s driving me. Make me a driver of Your peace. Traditional. Add’l music and lyrics by Christopher J. Atkins ©2014 all rights reserved. Salvation by my Savior’s name, Salvation through His blood. Words and Music by Christopher J. Atkins© 2017, 2018, 2019 All rights reserved. But we’ll still having Christmas the country bluegrass way. We’ll still havin’ Christmas the country bluegrass way. Matthew Kirkwold: Production advisor, additional vocals, acoustic and electric guitars, prolific musician and friend extraordinaire! Terese Atkins: additional vocals —and amazing wife! Special thanks to Tom and Jann Atkins, Mike and Terri Marshall, Grace Unleashed partners and friends, and our church family at Live Oaks Community Church in The Villages, FL without whose support this project would not be possible. (c) 2019 Christopher J. Atkins. All rights reserved.